Dendrites grow and branch as structural elements called microtubules push the ends out in specific directions. Microtubules are often likened to cellular scaffolding, and are built on site by growing out from one end. To determine how microtubule growth and dendritic branching is regulated, the researchers examined sensory neurons from Drosophila fruit flies. The scientists focused on a type of Drosophila sensory neuron that has very limited dendritic branching and expresses the transcription factor called Abrupt. Researchers began by determining that expression of Abrupt leads to reduced arbors, while its absence leads to more complex arbors. Next, they tested a group of candidate proteins from the pathway of molecular events initiated by Abrupt, looking for one that regulates microtubules. They found that loss of centrosomin—a protein that makes microtubule-based structures necessary for cell division—resulted in more extensive dendritic branching, and its addition could block the increase in branching caused by lack of Abrupt. 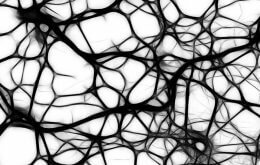 The team then discovered that by working with another protein called pericentrin, centrosomin could control where new microtubules form within the dendrites. When one end of a microtubule is attached to something, it does not push out new dendritic branches as it grows. However, when microtubules form at no particular site, the opposite is true, and new branches are more likely to form as it grows. Further testing revealed that centrosomin acts as a glue that fixes microtubules, particularly to Golgi bodies, which is why its presence promotes less complex branching. Yalgin C, Ebrahimi S, Delandre C, Yoong LF, Akimoto S, Tran H, Amikura R, Spokony R, Torben-Nielsen B, White KP, and Moore AW (2015). Centrosomin represses dendrite branching by orienting microtubule nucleation. Nature Neuroscience. doi: 10.1038/nn.4099.